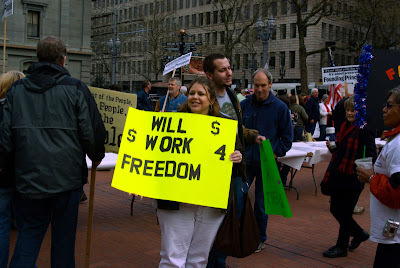 Tea Party: Let’s Fill Pioneer Courthouse Square at 6 Tonight! Here’s where to park: Click here. And here. Here’s how to navigate downtown: Click here. FOR THE MEDIA: Here’s the ‘story’ of the Tea Party movement: Click here. TEA PARTY SIGN IDEA…GOOD ONE! America,Honest Government,Lower Taxes,The U.S.A.,Freedom,…thanks for all you do Victoria. see you there!